You have a decision to make for your inflight wardrobe. Dress Dresss to; impress, stay warm or be comfortable? I like to satisfy all three factors. My #1 priority is to arrive at my final destination without having turned into a chocolate pop at 40,000 feet. My last flight took me from Dayton to a layover in Atlanta with my final arrival being Montego Bay, Jamaica followed by a short taxi ride to Negril. That’s two frigid flights through Midwest morning chill, steamy southern spring, tropical temps and mid-day showers all in the span of 6 hours! Layers are the name of the game. Here’s my head to toe fly girl look! I layered a cream light weight sweater over a denim button down shirt. 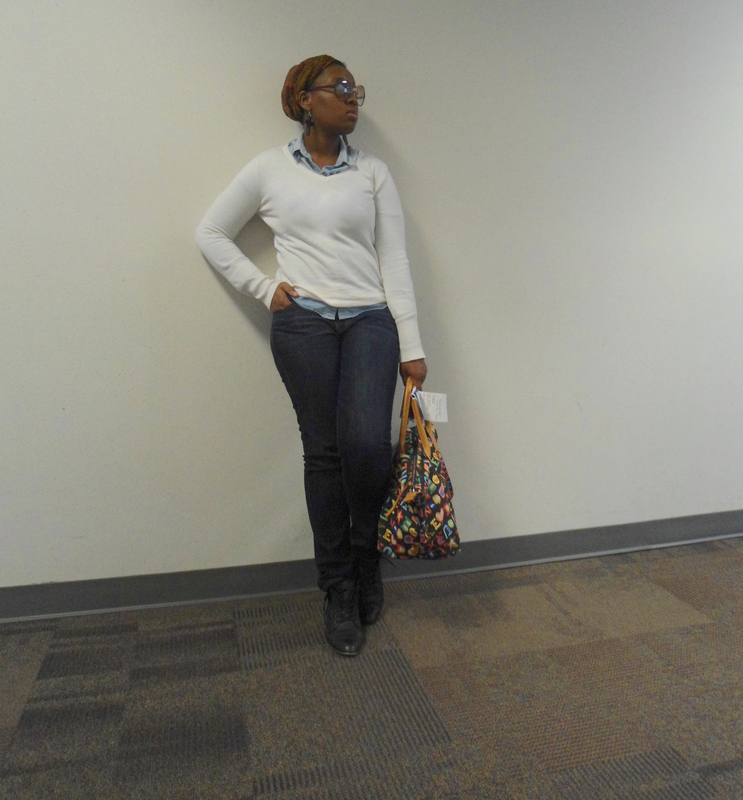 I chose dark denim jeans to channel my style icon Solange. I started with a chic head wrap for style and warmth. Didn’t your mama tell you heat escapes from your head? Plus I wanted to cover my chunky two strand twist that I styled for perfect beach curls upon arrival. It’s a good idea to accessorize with non-metal jewelry pieces for quick navigation of security. 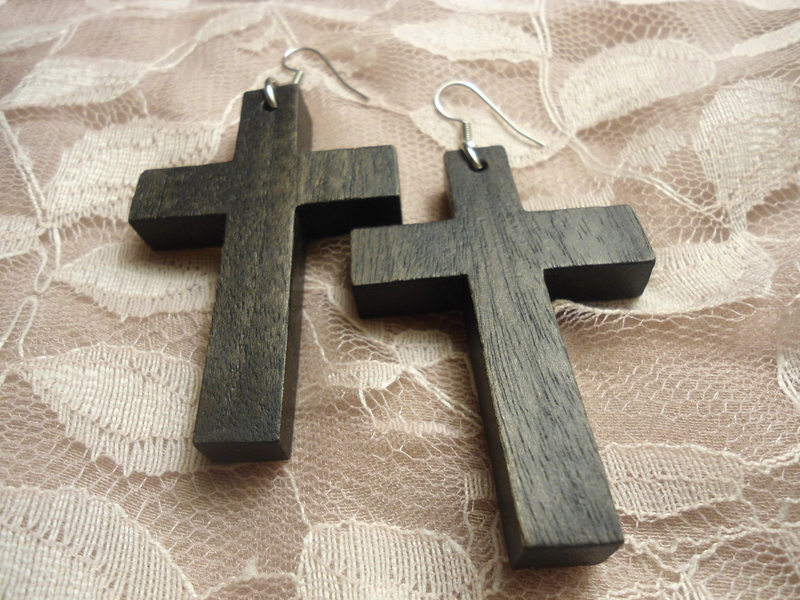 These wooden cross earrings are one of my favorite pairs for travel because they don’t set off the metal detectors! My booties are easy to slip in and out of during security check points. 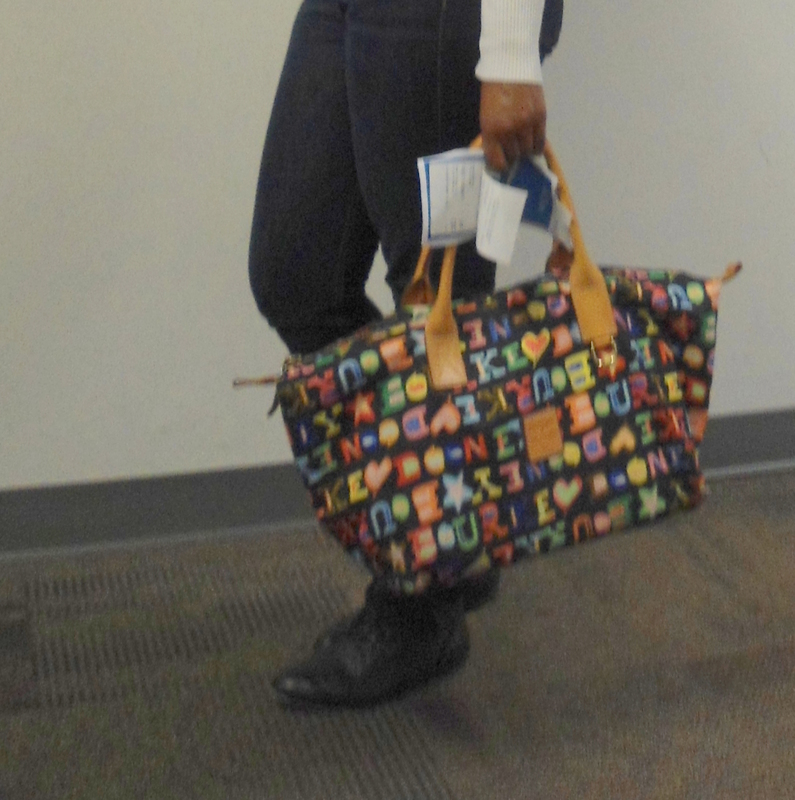 The Dooney & Bourke duffle is my go to travel bag as it can hold all my carry-on items and laptop with room to spare. My roomy bag also accommodates a pair of flat gold sandals to change into upon landing in Jamaica. Here are some quick tips for your next flight. #1 While you may plan to spend a few hours getting your beauty rest on the flight do not wear your pajamas! #2 Wear appropriate clothing for every leg of your trip. While your sassy strapless maxi might be a great choice once you land you will surely freeze before the inflight service begins! #3 You do not want to be the person holding up the security line because you just had to wear every accessory you saw on the last season of Basketball Wives! Use this opportunity to try out friendship bracelets or get a jump on your world walker style with stone or wooden pieces. Summer travel season is underway. What are you wearing for your next flight? Lippie Love: I’m Ryan Kelley and I’m a lipstick lover.